After a relaxing morning with our Dubai hosts -Shernaz and family, we all went together to Aiyappanji’s apartment in Deira to attend Sai Baba’s Noon Arati. 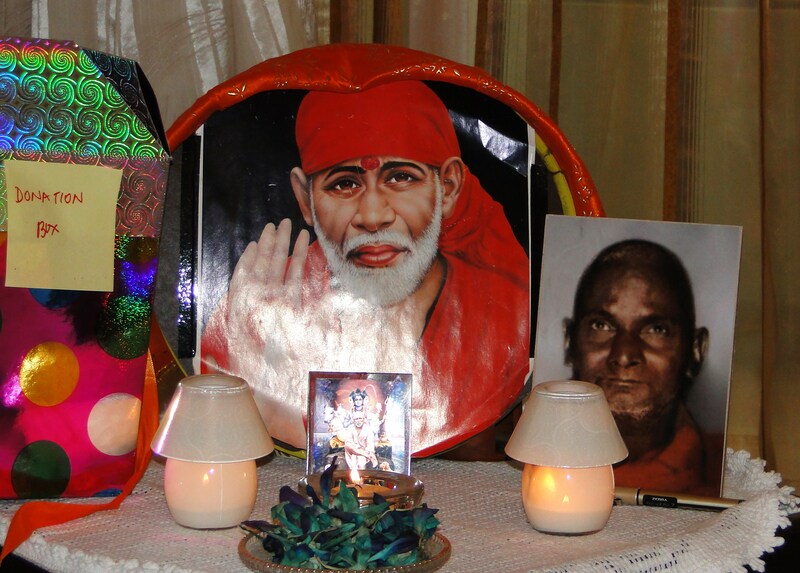 Mohanji knew that Solenki Maharaj, Chief Priest of Shirdi, is in Dubai and will be doing the Arati himself. He insisted that Mohanji comes as well. This was a great joy and great honor – whenever we visited Shirdi, we experienced many loving leelas of Baba through his beautiful instrument, the humble Solenki Maharaj. I was so happy to see him again. The sincerity and purity of Aiyappanji impressed me as well. He has devoted his entire apartment to Baba – his selflessness is amazing. 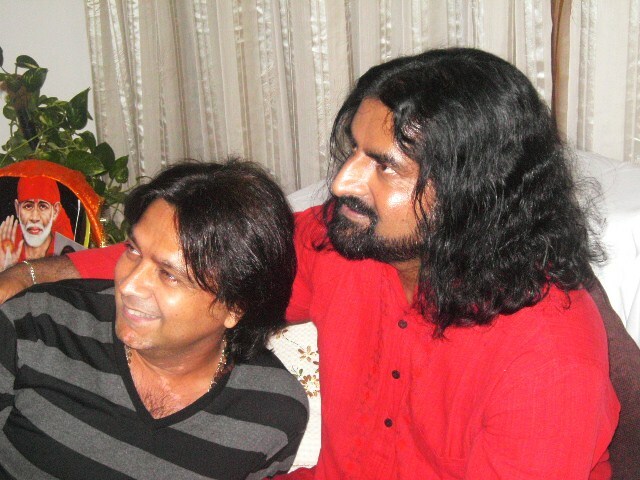 Mohanji and him know each other for many years and were recalling how Baba initially connected them (and so many other people) in His unique ways. I tried saying ‘thank you’ to Ayappenji for the lovely lunch, but he was smiling telling me that it’s not allowed. So sweet. 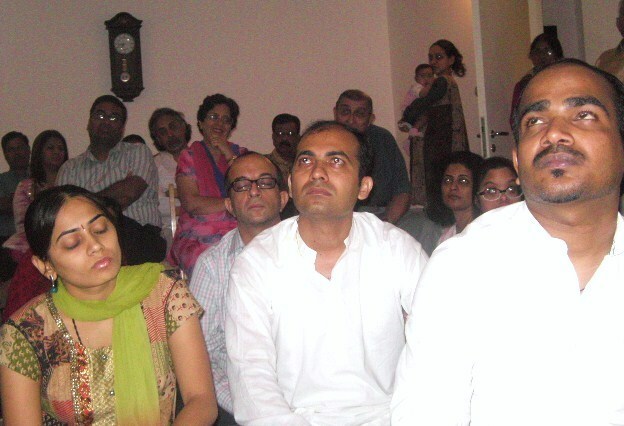 After all the high energy experiences, we were pretty much ready for the BTW scheduled to take place at Dr. Manjari’s and Devang’s apartment in Bur Dubai. We came a bit early because a few people wanted private consultation with Mohanji. The moment we all rejoiced in was when Dr. Manjari, a few minutes after our arrival, brought little Kavya into the room and handed her over into Mohanji’s arms. The familiar stare happened again – she was clearly glued to the brightness of Mohanji’s third eye and looked so beautifully dazed. The same thing happened when she first met Mohanji a few months ago. Later on in the evening, Manjari brought Kavya again, and, sure enough, the stare without blinking was on from the moment she came near to Mohanji. Since there were altogether 6 of us initiated into Shaktipat present, I knew that, regardless of the number of people, Shaktipat won’t be a problem. Since I could take my time with each individual, I went very deep with the experience of giving Shaktipat and felt it was so amazingly intense. I could even feel their heart beat! 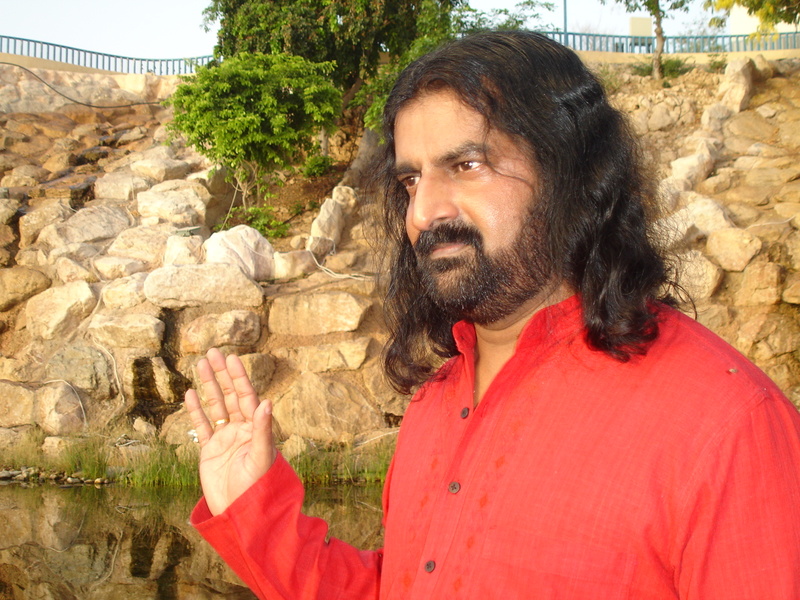 Indeed, this Arati was experienced so deeply because that is our path – Siddha path of non-doing, path of perfect surrender, shraddha and saburi… Bade Baba (Bhagawan Nithyananda of Ganeshpuri) was very similar to Shirdi Baba – a great Siddha and avadhoota (Mohanji’s connection with Bade Baba was explained in detail in the ‘Ganeshpuri trip’ post on this blog). At one point during Q&A, Mohanji invited our guest and sincere Shirdi Sai devotee, Professor Muralidhar, to explain more about his gigantic Seva task of setting up a Shirdi Sai Baba temple at Bellary in India. Since he was on visit to Dubai, seeking funds for the temple construction, it was through the Grace of Baba and his instruments (Manoaj, Pradeep) that he joined us for meditation. He spoke about his TANGIBLE inner experiences with Shirdi Sai Baba and how he mustered the courage to assume responsibility for this huge project with zero funds. His sincerity was touching. One person said that, during BTW, he could clearly see the light gushing out of Mohanji’s Agnya chakra in three different colors. That light had a special effect on him. Lilly said that she could clearly see gentle green light emanating from Mohanji and healing all present at all the levels – physical, emotional, mental, spiritual. She experienced the effect of that healing. In all the excitement, I forgot to announce the Grand Cross meditation which was to happen the next evening. Later on I understood why this slipped my mind – the turnout was so big that people could not fit into the venue. Another confirmation that I am not the doer and all, indeed, happens for a reason. Account of the Grand Cross Meditation follows soon. 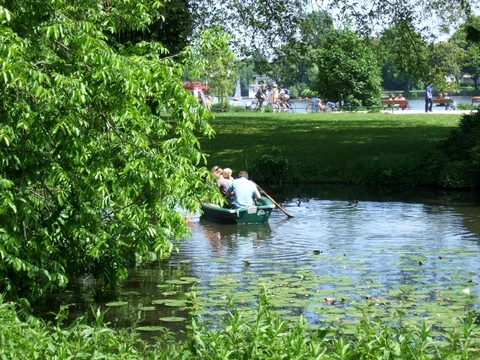 BTW in Germany – the Hamburg and Munich ‘double pack’ of bliss! 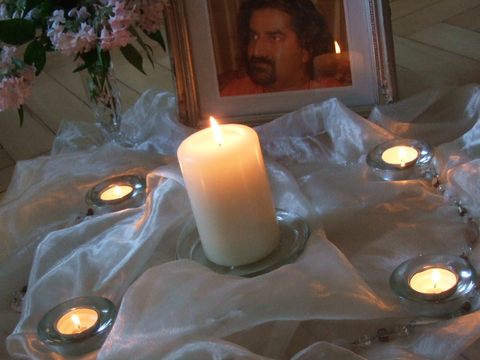 The main reason for travelling to Hamburg was to conduct the BTW meditation there. I did not decide and plan it in the conventional way. I rather felt a strong pull to do it, and it happened through me. 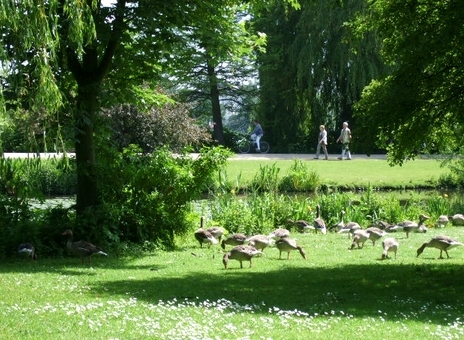 dogs playfully chasing each other, birds singing, butterflies dancing, duck-parents patiently feeding their demanding ducklings – Hamburg seemed nothing but a huge, peaceful yet vibrant, majestic garden. Far away from current crisis and catastrophies. BTW meditation in the evening was really special. 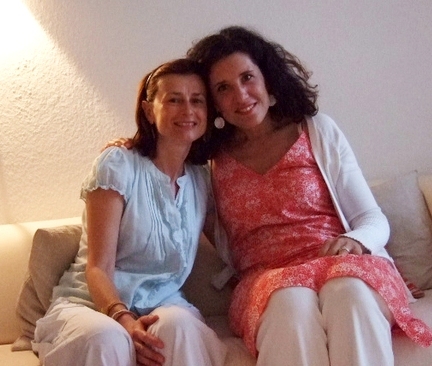 We met at a meditator’s apartment which happened to be a roof-top apartment – close to heaven :-). The fact that it was a “ladies only BTW“ made me grin. It just happened that no man attended! All women. BTW meditation/Shaktipat gave each one of them exactly what was needed – the right dosage of energy to allow a shift without overwhelming them. A long sequence of joy-filled silence followed after the last note of Power of Purity vanished in the background, while we were all being kissed by the golden evening sunlight. I really can not decribe the beauty of what we experienced. There are no words for it. What I can say though is that we had the most delightful spectrum of reports from the meditators ranging from “inner sparkles, tingling, energising buzz“ to “entering deep inner peace and serenity“ as well as feeling “wide-awake and crystal clear clarity“, “formlessness and eternal space“, being “much more aligned, upright and adjusted“, “blessings for bankers and politicians“ (! ), “heart widening and complete melting into love“ and “feeling touched by the divine“ (where just a smile and soft tears of recognition could express the inexpressible) . In the Q&A session the group was thrilled to hear that what we received during the meditation is something that will last. That this was not just an “esoteric feel-good-shower that will have vaporised by the end of the week“, but a precious gift that will even unfold more of its grace in the days and weeks to come. The ladies who attended the first BTW session with Mohanji in April confirmed my statement nodding their heads, smiling knowingly. Only a quick note after tonight‘s meditation, which we just finished and which leaves me speechless looking back. I never felt Mohanji’s presence more clearly than tonight. 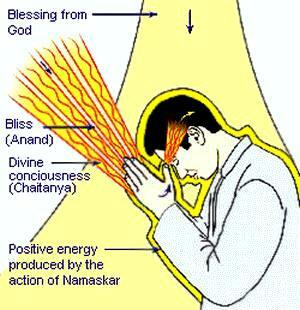 Light and heat rushed with such power through me during Shaktipat, from head to toe – incredible! 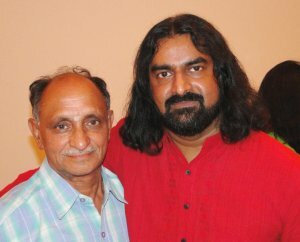 I also felt Mohanji right next to me. It was somehow tangible that he stood close to me and placed a ball of love and light into my hand! I felt it and saw it on my inner canvas. Deeply touched, I could not hold back the tears – they welled up silently. The meditation room felt so spacious, so bright, so peaceful and loving. Out of this world. 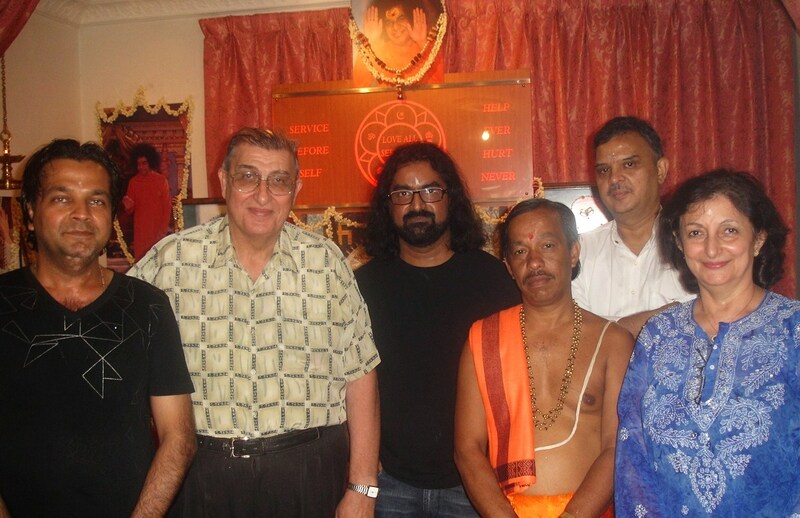 And we continued to bless family, friends, places, people, cities, countries…. Mohanji, thank you so much. One journalist was supposed to join us for BTW, but in the end couldn’t make it – it was the plan of the Masters that only those who were coming regularly join us for this special mediation. Mohanji spoke briefly before the meditation (which was unusual) and at that time itself I was already sensing a high energy and thus felt the pull to go within, away from the senses. At one point I felt a jolt as I heard Mohanji telling me “Let’s start. Today we’ll do the 360 Degrees meditation” – I was so happy to hear that because that meant we’ll have much more time to bathe in this energy! 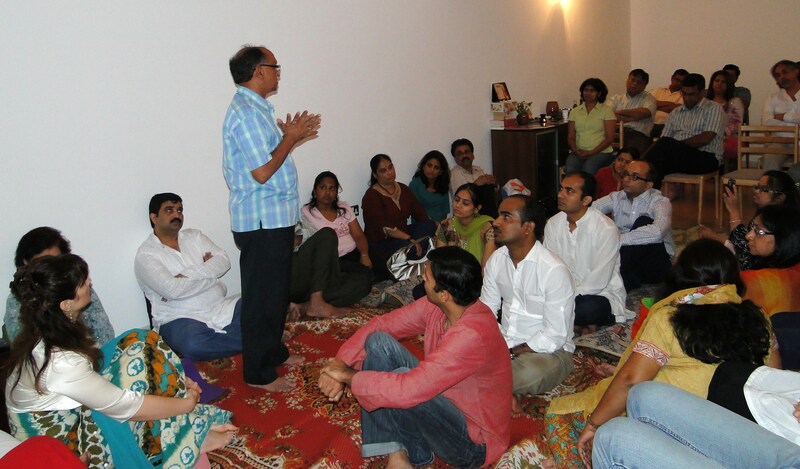 Dr. Deepali and I both conducted Shaktipat after Mohanji. 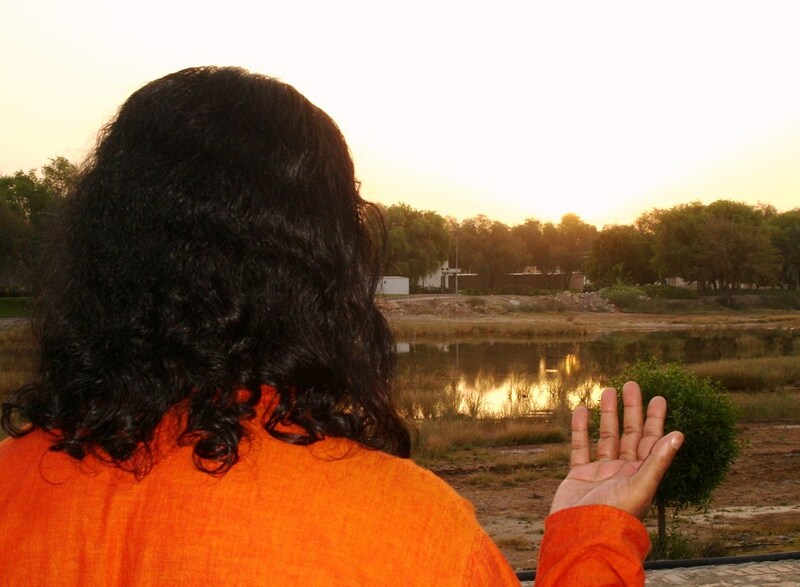 I could feel that my awareness was much more sharper this time – I had very clear sensations about each recipient of Shaktipat. After fulfilling my ‘Shaktipat dharma’ :-), I blissfully floated back to my seat and then….. it all happened. Something most unexpected followed the Shaktipat I received from Dr. Deepali. I was suddenly catapulted through Sahasrara, at a very high speed! I was like a fountain of Light endlessly bursting/flowing upward, moving at a very high speed. At one point I wondered how far I will go… But there was no fear, just awe and wonder. 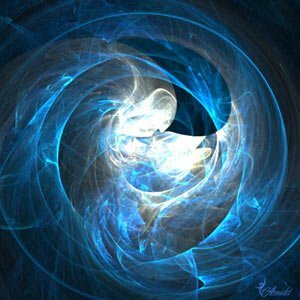 I received a deep understanding, a sort of revelation, about one living Master, and numerous insights which I would prefer not to share at this point. All this subsided after the meditation and all I felt was Mohanji’s mighty presence and immense love. I recognized the familiar ‘tickle’ on my Sahasrara, his ‘trademark’ :-), followed by a surge of energy that always makes me beautifully immobile and still like a stone. “Biba, you were out of this world. 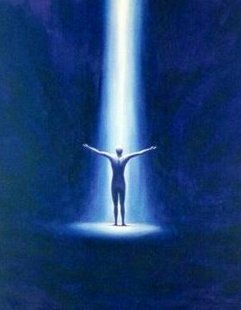 As I touched your crown chakra, I saw golden bright flame sharply coming out through your Shushumna with a tremendous force. 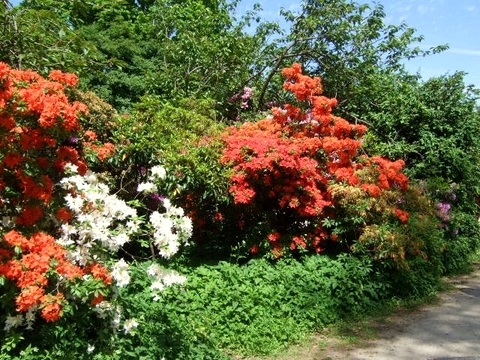 It was like a fire cracker… bhuinala. This went on for some time. After Dr. Deepali and I got to ‘share the notes’ I was amazed to see that we both saw/sensed EXACTLY THE SAME about each individual present while giving them Shaktipat. 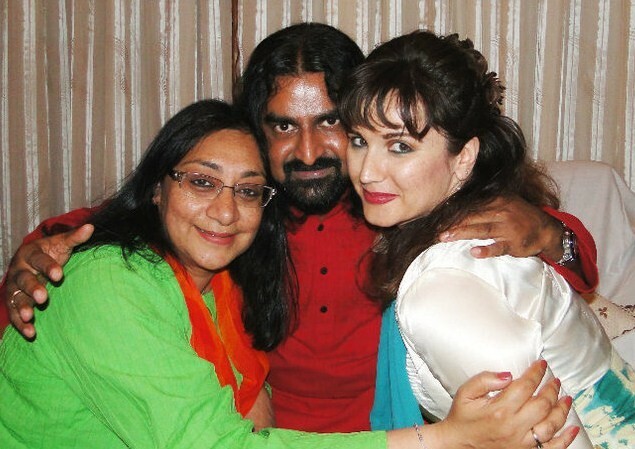 I felt overwhelming Love towards her and remembered how, when I did Shaktipat to her, I felt that both of us were dissolving and, for some time, we were One – I completely lost the sense of time and boundary. “Moushami was amazing. She gave me a big surprise. She was completely settled in her experience. 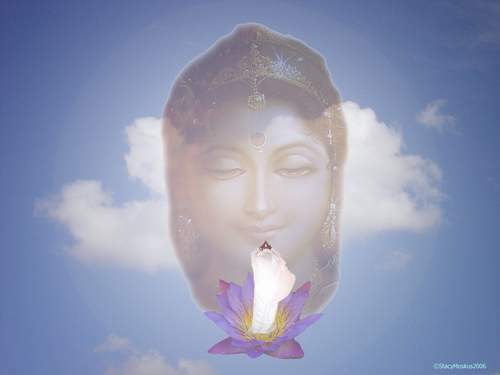 I saw her expanding consciousness and saw her becoming like a bright sadhwi. 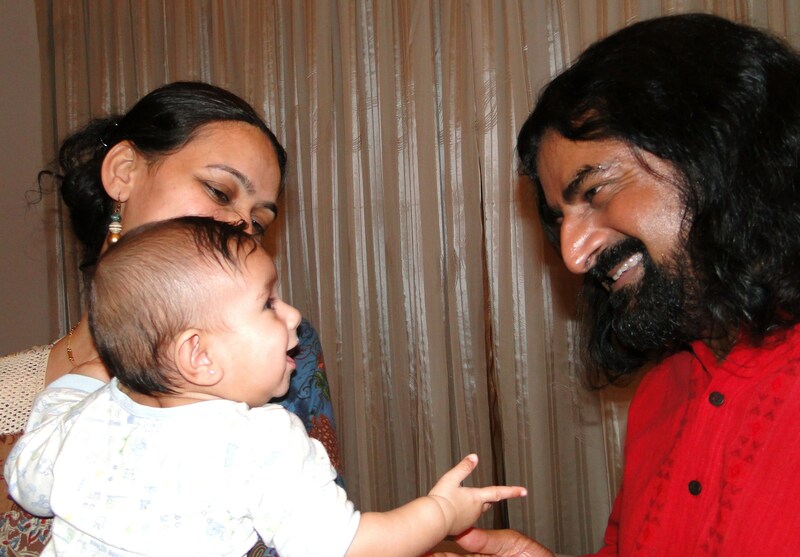 While giving Shaktipat to Sudeep, I felt that he is a little baby – I held and held him ‘in my arms’ :-), couldn’t get enough of it as I felt sooooo much of motherly love. 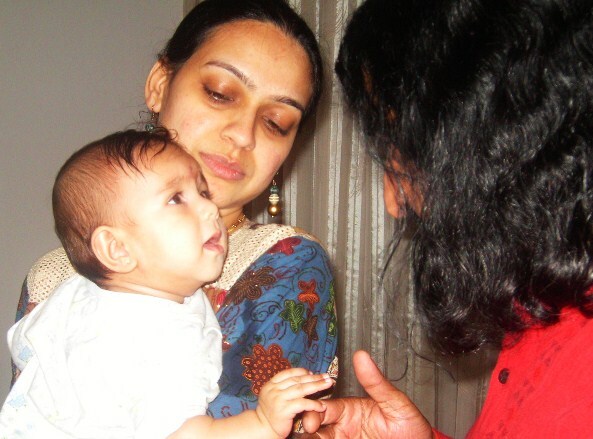 And Dr. Deepali’s experience: “Sudeep, you were an innocent child.. crawling in a big house. 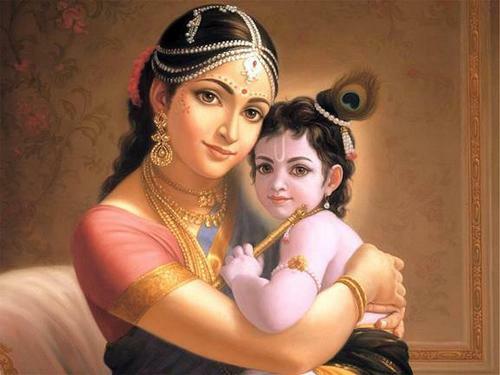 I realised that it was Krishna consciousness. I saw you merging with that consciousness. And Mohanish – so strange, but there was only blankness, no memory of what was happening during Shaktipat I gave him. 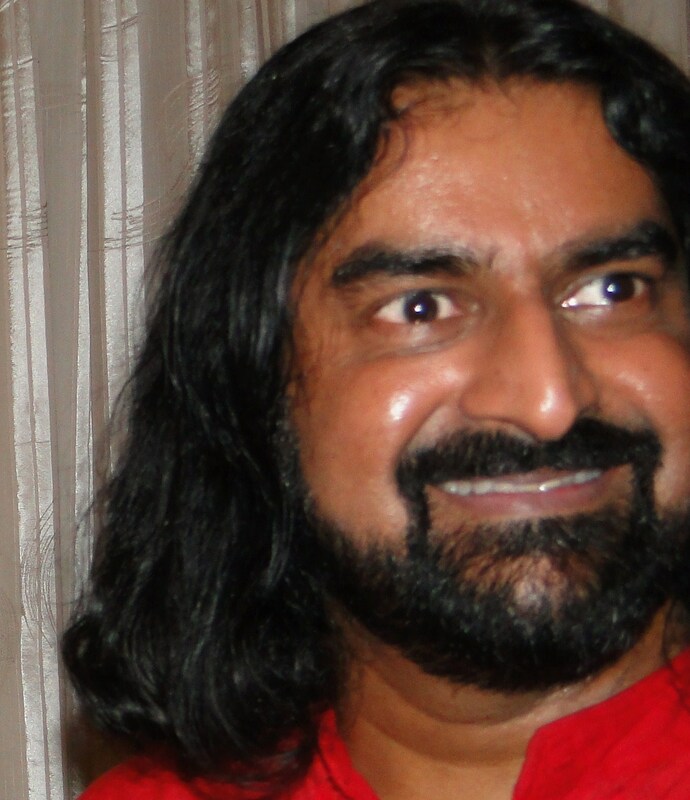 He was just completely blank… Dr. Deepali: “And Mohanish, he was just blank/empty. 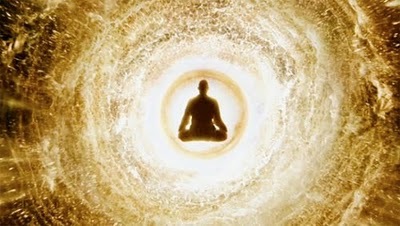 A complete ‘being’ state”. While still ‘digesting’ this experience, I spoke to Mohanji about it later on that evening, and he told me something that touched me even more: “Your aura was golden. During that meditation, I allowed you to experience my consciousness fully, to see what I see. You were ready to withstand the energy due to consistent practice of BTW and a high level of surrender. This is our path – no rules and patterns, it is the depth of surrender that matters the most“. 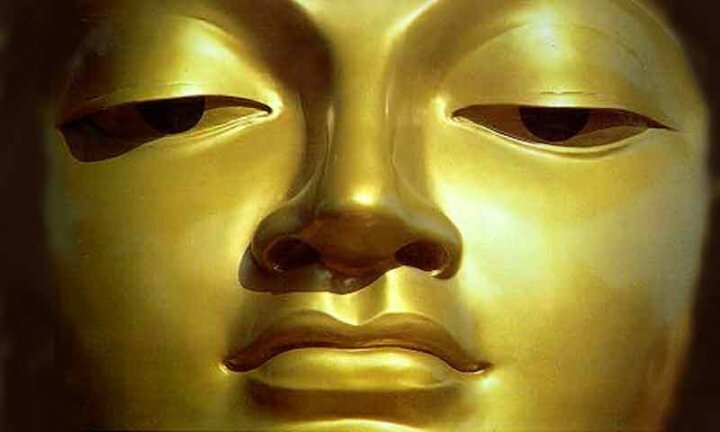 Pradeep said that he felt a strong pull to come for BTW knowing it was Buddha Poornima – he managed to get out of the office in the very last moment and was only 5 min. late. He said: “On the way to meditation, my body started heating up suddenly, like fire – I simply had to rush to take 3 glasses of chilled water to calm down. I reached Focus Direct office just as the Omkaar and initial breath-work was going on. 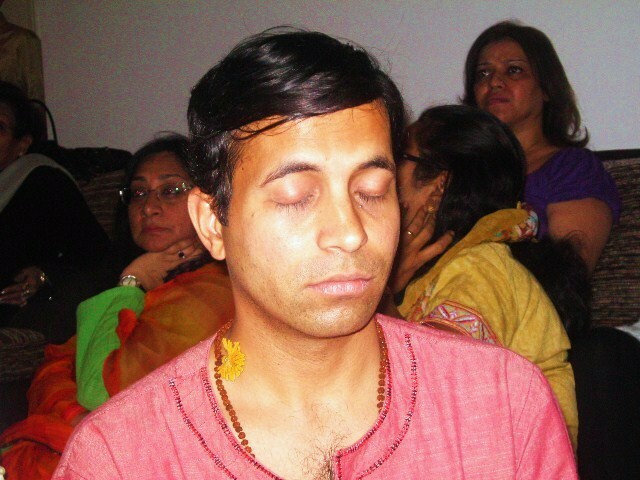 As soon as the meditation CD started, I felt the immense heat & my 3rd eye started throbbing strongly. I could feel very, very strong presence of Mohanji. All 15 of us present flowed within this amazing energy field. – Lily was deeply grateful for this experience of deep cleansing. She could feel that all her stress and heaviness were gone. Rajeev said the same thing. – Sarita also underwent intense cleansing and felt very strong heat & thirst. I could feel that while giving her Shaktipat, so I asked Amrita to give her a glass of water as soon as the meditation was over. – Shernaz said that while I was giving her Shaktipat, she went into an amazing trance state which was indescribable. – Abdul Reham, Saasha, Inez, Rekha & all the rest of them felt very strong & high energy presence and could not really express it all in words. The most amazing thing is that each and every one felt that Mohanji was seated at the place where I was sitting (in front of the table/Baba moorthy). I was simply amazed! So what I felt when I said earlier that “I could feel Mohanji’s Soul in my body” was witnessed by others as well. 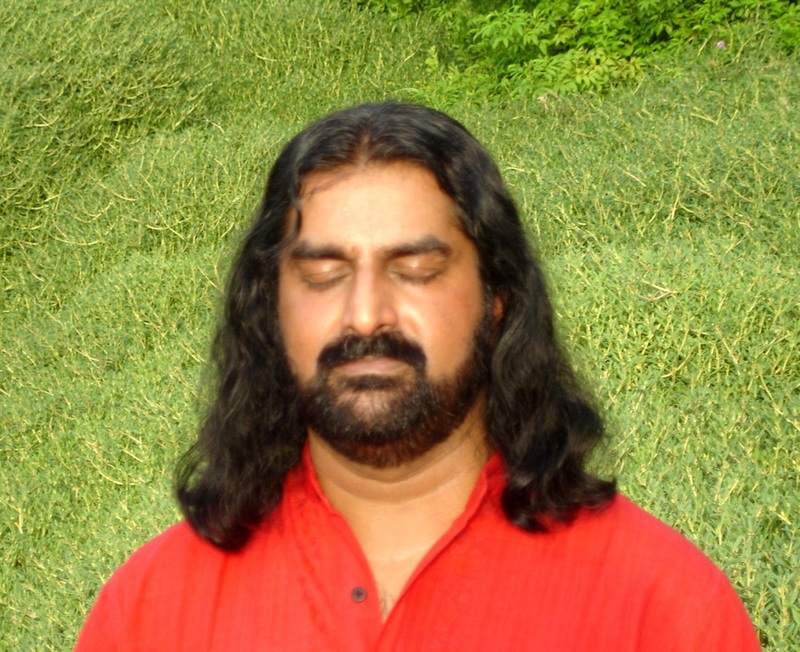 I instantly dissolved into the meditation and was somewhere far away when I received Shernaz’s light touch on my Sahasrara – I felt warm and went back flying into outer space (can’t remember any of the experiences) to be brought back to body consciousness with the second Shaktipat. After some time, I was surprised to receive a third Shaktipat, but this time, I felt for sure Mohanji’s touch on my forehead. 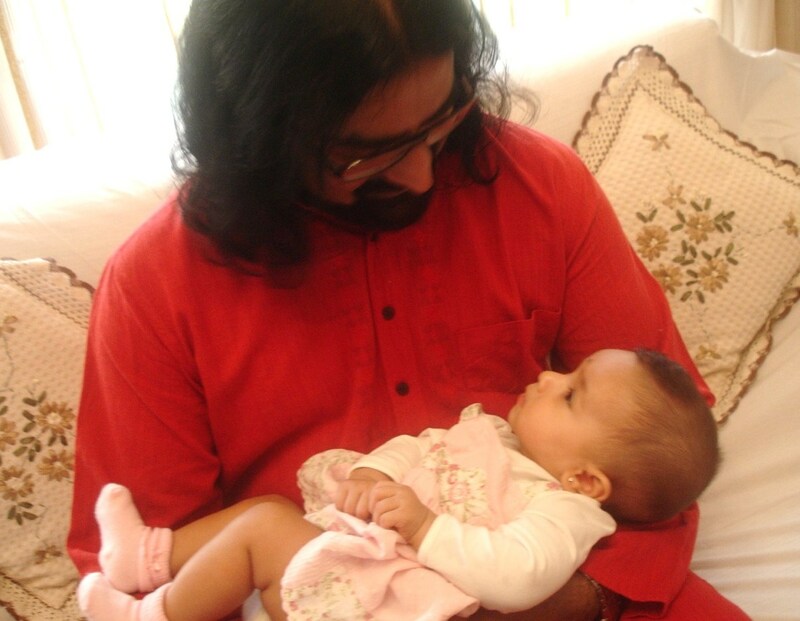 As I concentrated on my third eye, I saw something amazing – little Ammu’s smiling face! I saw her giving me Shaktipat herself! This was the first time I received direct blessings from her. After the meditation, when I opened my eyes, I thought Mohanji was seated at the helm, near his picture placed on the table. It was only when the light was put on that I saw it was actually Pradeep Sukhrani’s smiling face :-). Amazing! The loving energies filled my heart – my spirit was so content and at peace to just BE. What happened last Friday was truly profound. 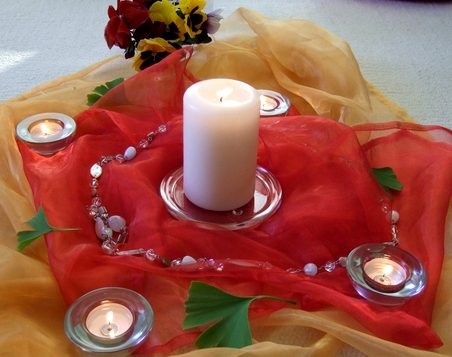 When the meditation CD started, I sensed a strong Divine energy that filled up the room instantly. It was so beautiful to just bathe in it – I just wanted to remain in meditation. I barely mustered the willpower to stand up and perform Shaktipat, but was glad I did so. The energy flow from my right hand was immense and I knew for sure that higher Masters were pouring their Love through me – it was such an honor to be Their instrument. After finishing the Shaktipats, I happily sat down as my 3rd eye was throbbing a lot. 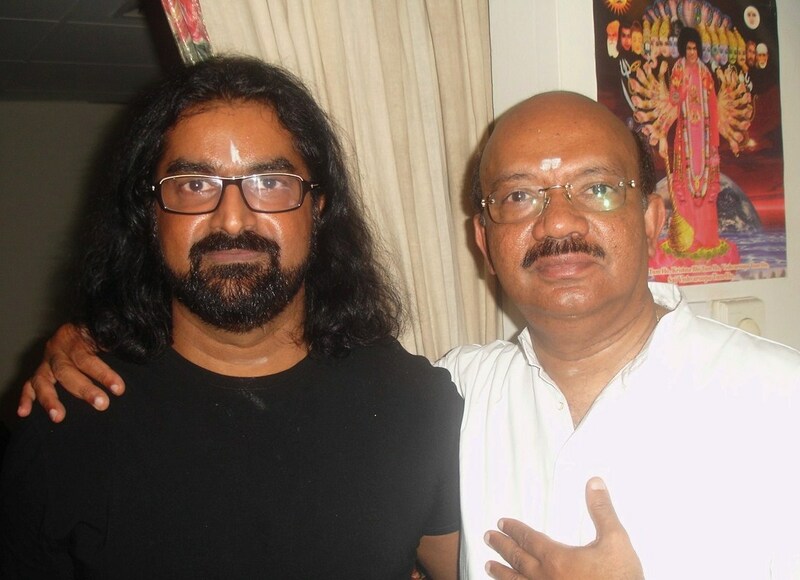 When Pradeep gave me Shaktipat, I felt clearly Mohanji was standing in front of me and touching my Sahasrara. 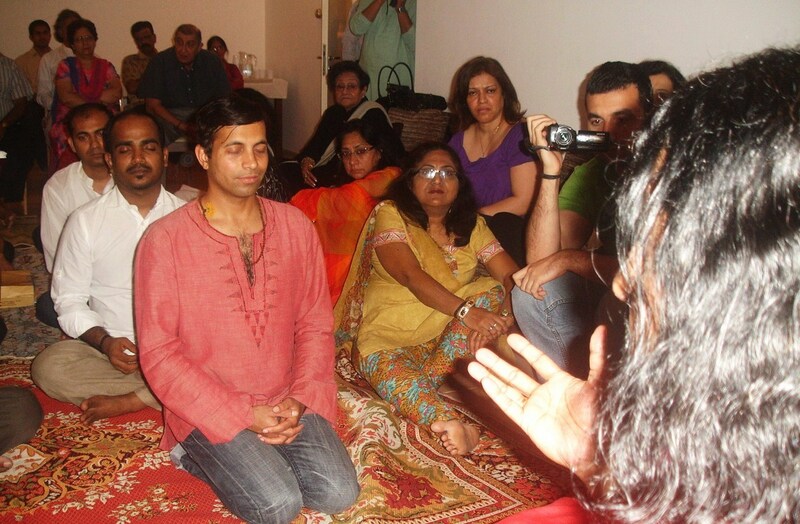 When the meditation ended, Pradeep asked everyone for their experiences. I was in a trance state and could not make out what everyone spoke. Sometimes I wish these meditations can go on for a much, much longer time…. Thank you friends for reading this long report – it is after midnight, but I felt I should take the time to share all of this with you and thus do all that is humanly possible to honor this experience. I’m sending you my undivided love in its purest form.